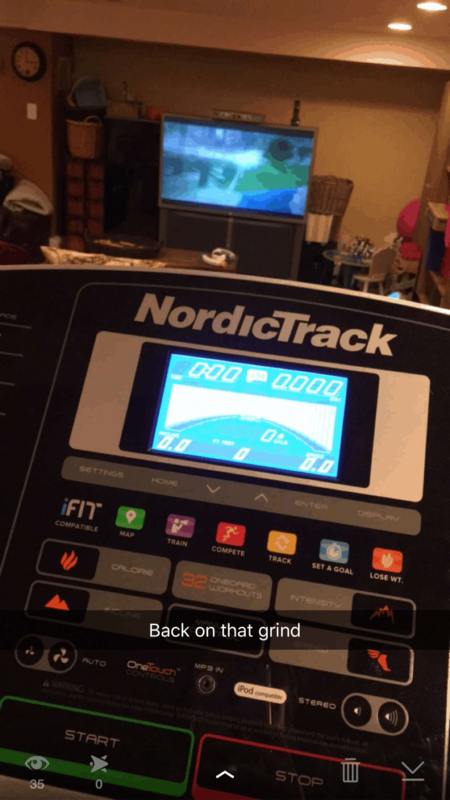 Notice how I take a picture of the treadmill BEFORE I start… that way you don’t see my time. LOL! I spent a good 8 days away from the gym and I hated it. Why? First, I took a class that was WAY above my pay grade and ended up pulling my leg muscles to the point that I couldn’t walk for about 3 days. I’m not kidding. And then I spent 5 days in Disney for the Zootopia press junket. So, I guess I had a good excuse for not hitting up my usual Barre class… but STILL. UGH! I got home last night around 1AM and collapsed into my bed. This morning, I kissed the kids goodbye before they went to school and took a MEGA nap. I had such a huge migraine because of the CRAZY rain but I KNEW I still wanted to do SOMETHING TODAY. ANYTHING. Despite myself. I did 31 minutes on the treadmill… which was like sheer torture because I lost my groove. But I freaking did it – gasping for air and dying a slow death. And you know what? I feel so damn good about it. Truly! I think I get HOW people work out. I understand the secret now. They make it a priority. They put themselves first. They realize that their health really does matter and it belongs on the top of the list. So… with a migraine and utterly exhausted… I did it. Me.